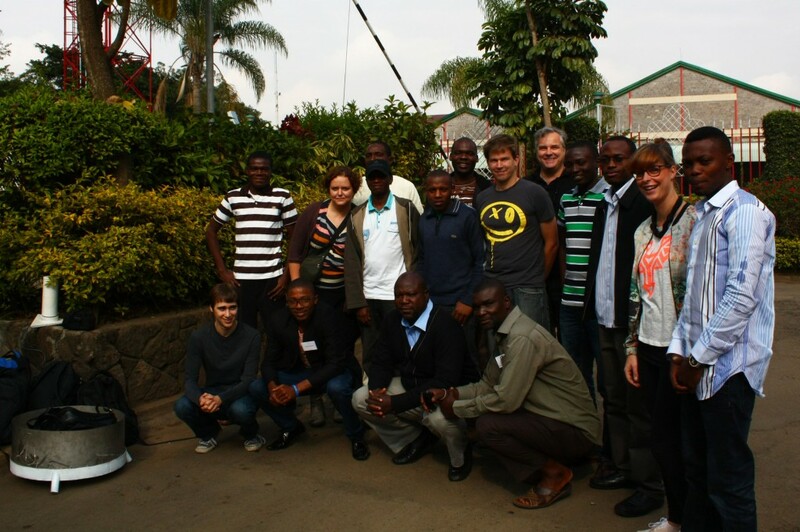 All 16 participants (eight teams with five nationalities plus four supporting staff members) of the TAHMO Final Challenge Nairobi 2013. 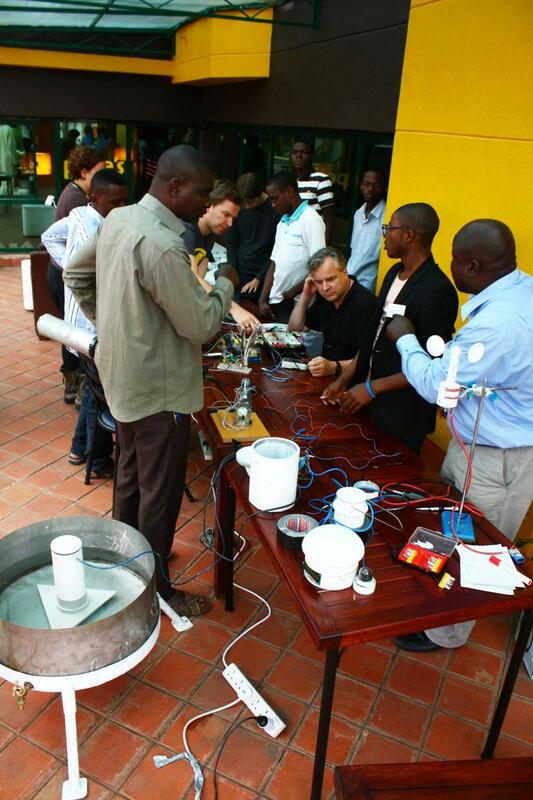 Rolf Hut from Delft University of Technology, the Netherlands, explaining the purpose of the TAHMO Final Challenge. The participants of the TAHMO Final Challenge taking over the UX Lab at iHub in just a matter of minutes. 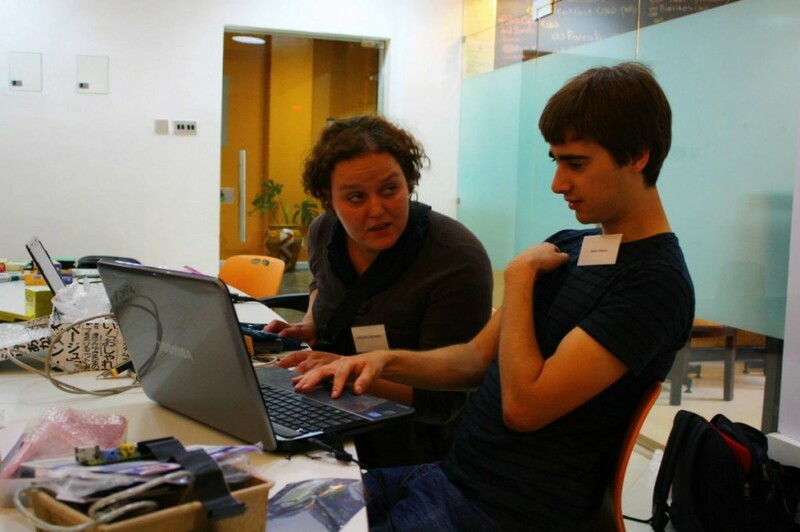 Participant Irene Jarrín Hernández from Spain [left] and supporting staff member Adam Gleave from Cambridge University, UK. 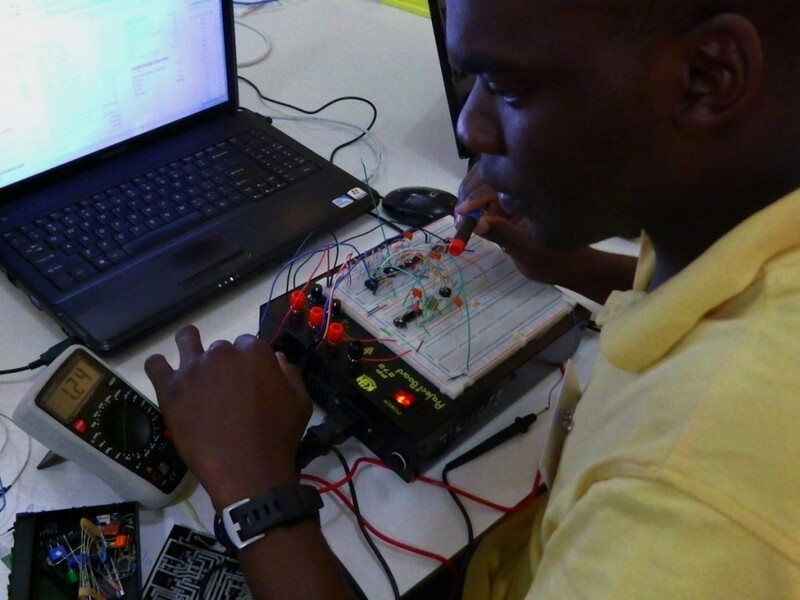 Participant James Marvellous Muganda from Zimbabwe focused on increasing the noise to signal ratio of his design of an electronic barometer. 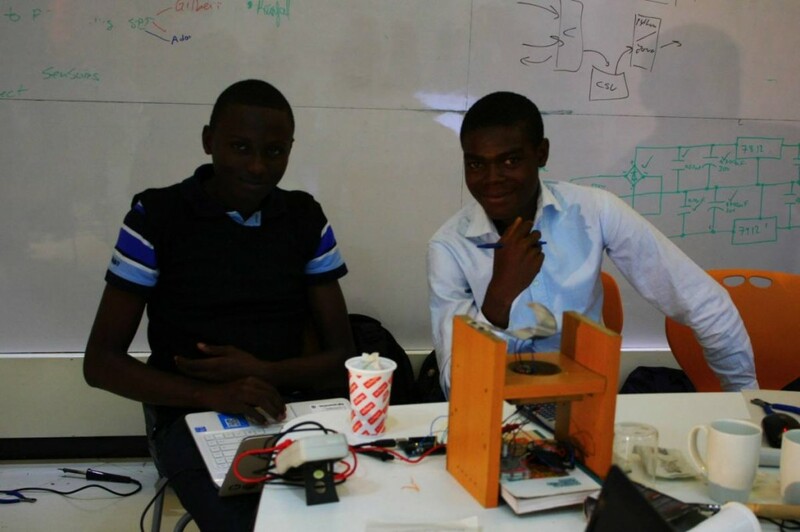 Gilbert and Kenneth with their prototype: a flag that is used for measuring wind direction, wind speed and air temperature. 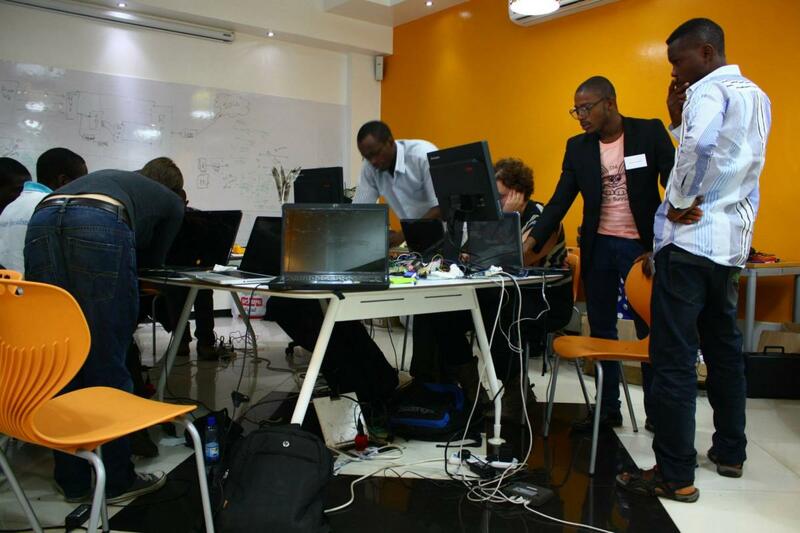 Working on project at iHub. 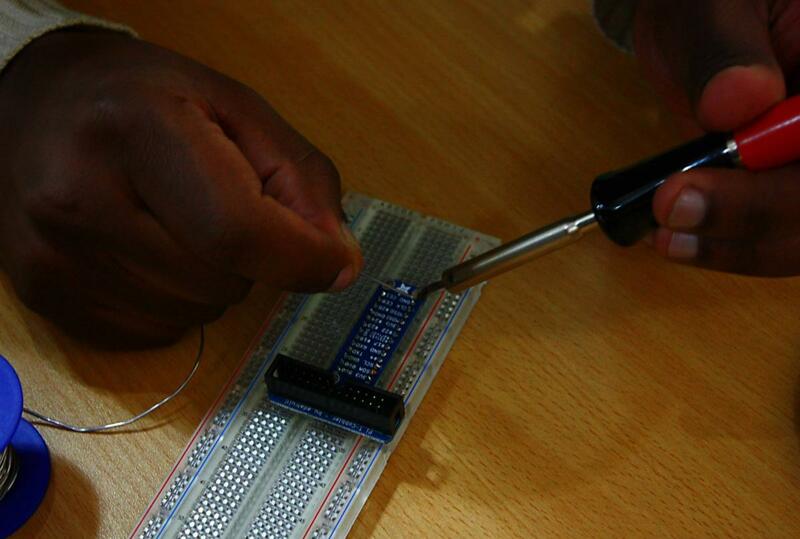 Soldering male pins on Raspberry Pi interface, which is mounted on a breadboard. 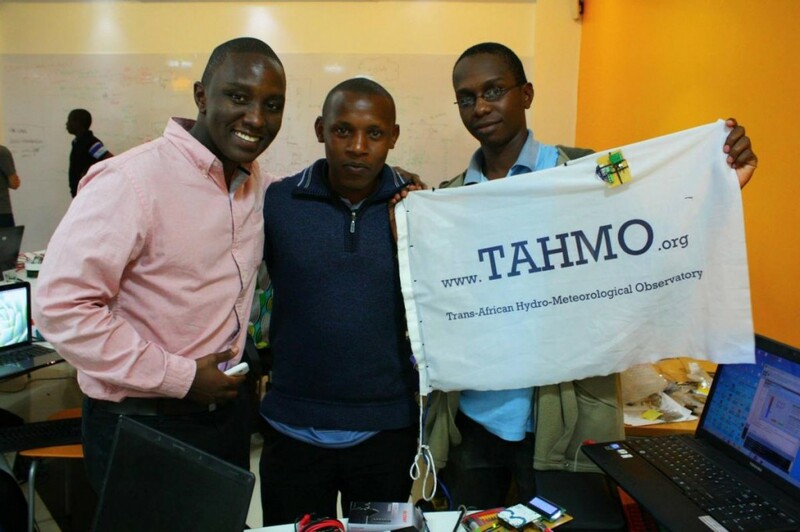 The participants of the TAHMO Final Challenge. 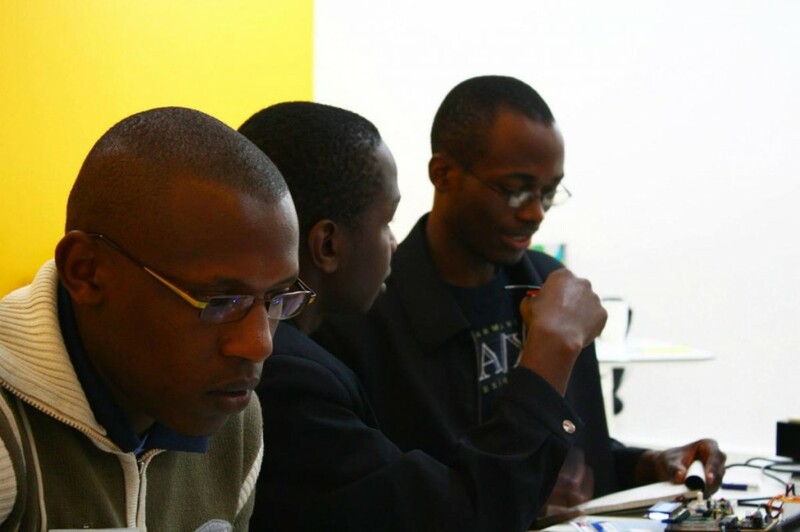 From left to right: Abdullah Akolade Okunola (Nigeria), Ahmed Balogun (Nigeria), James (Zimbabwe) and Ladipo Kehinde Ogunleye (Nigeria). 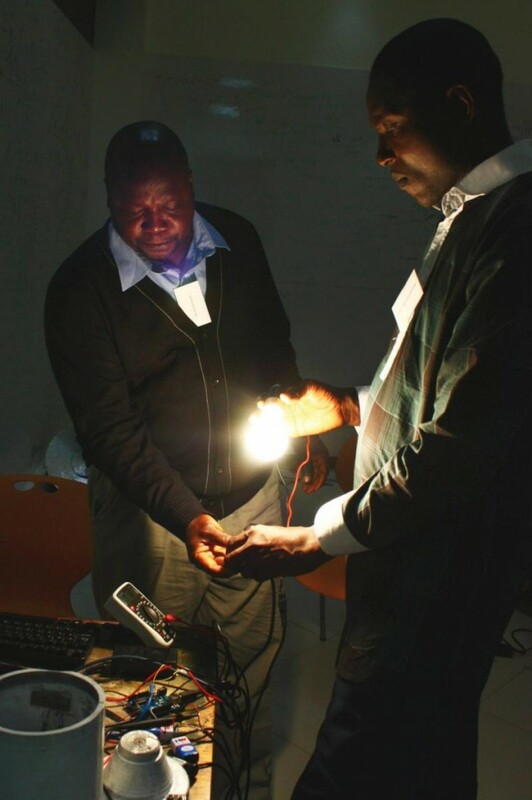 Olaolu Olumuyiwa Akinfenwa from Nigeria. 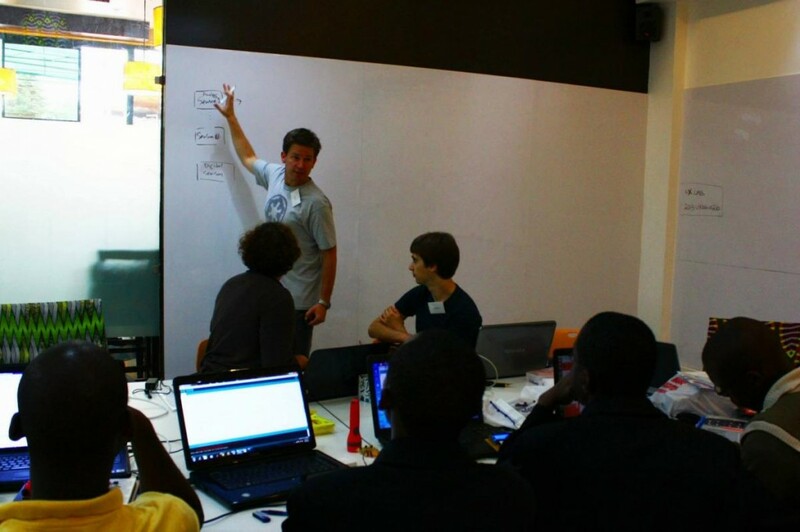 Rolf working with finalists on their project. 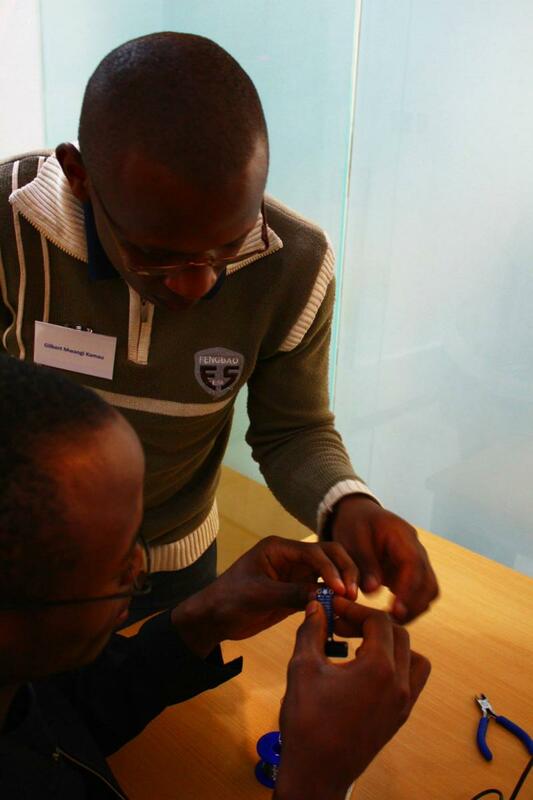 Rolf and Ladipo hooking up a 12 bit ADC that will form the central part of the integrated weather station we are aiming for. 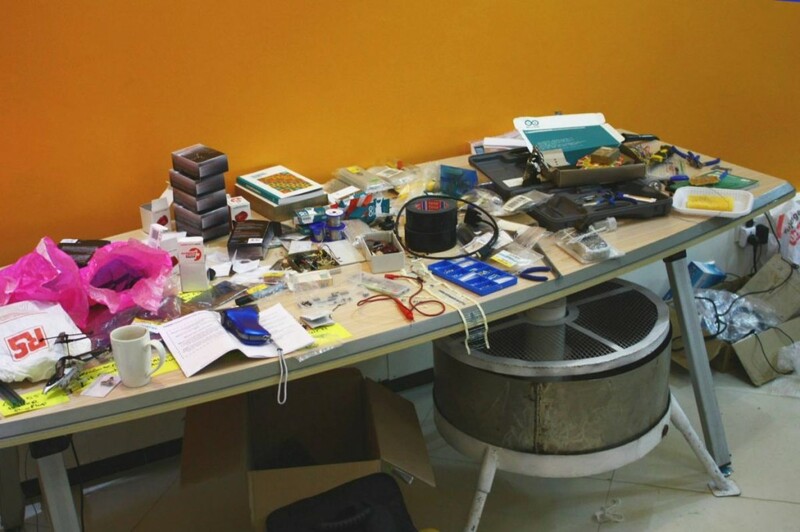 Evaporation pan hiding under the electronics table. 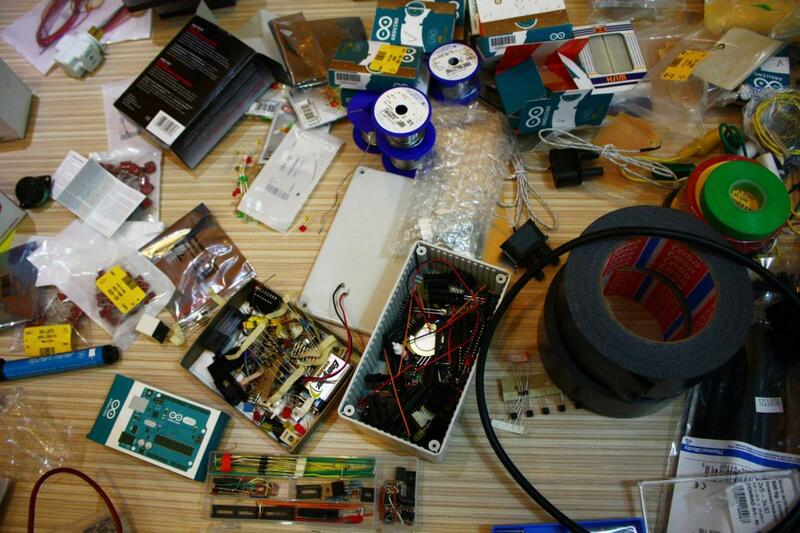 Workshop materials: micro electronics, soldering tin, duct tape, Arduino’s. 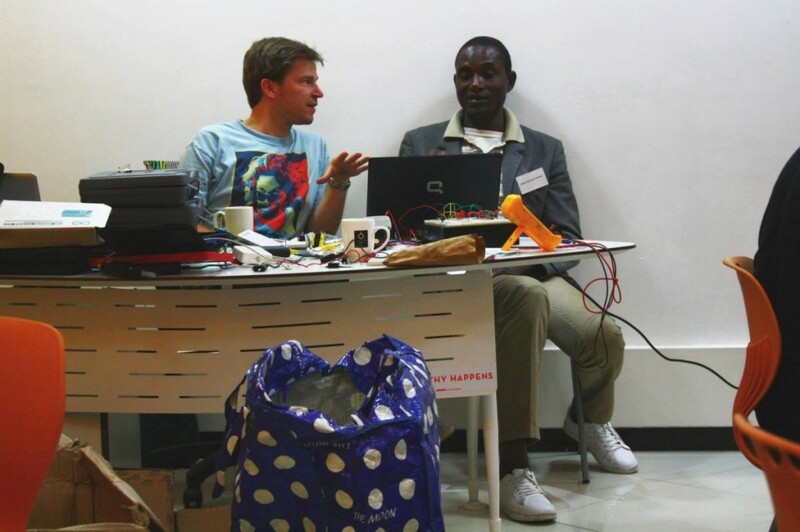 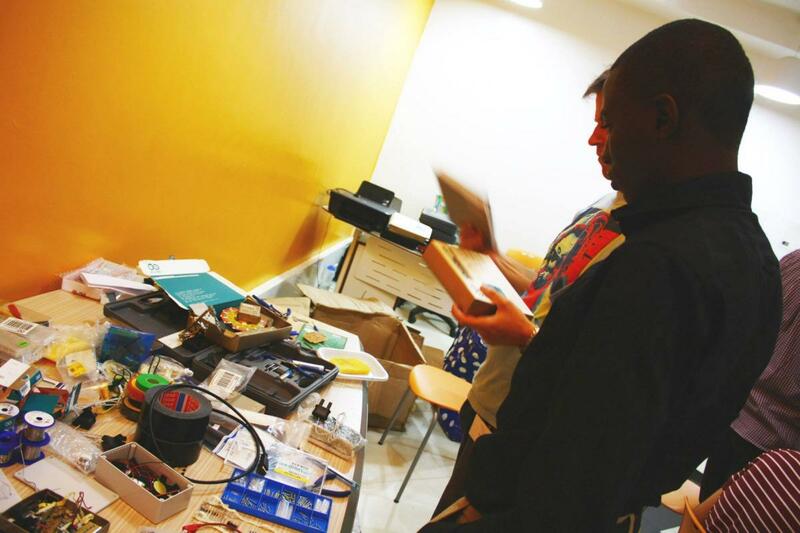 Participant Niyi Funsho Oke (Nigeria) and Rolf looking for the right materials. 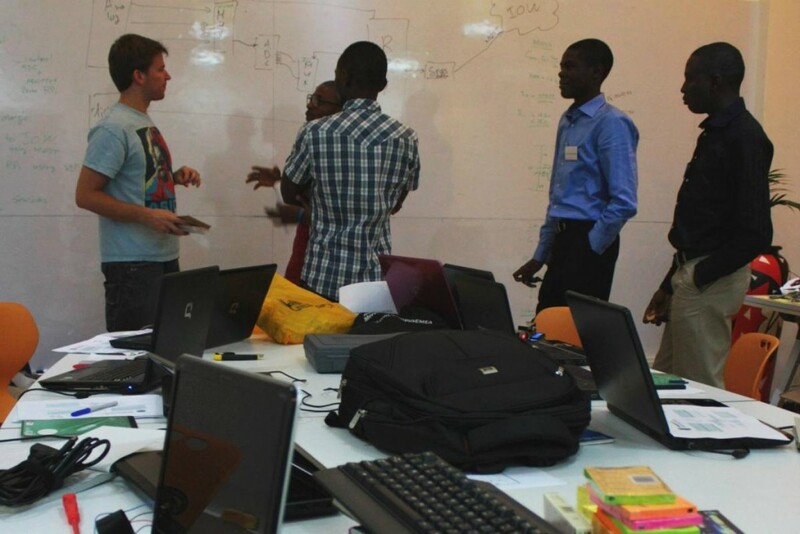 Ahmed [left] and Hope [right] from Nigeria and Adam from the UK [back]. 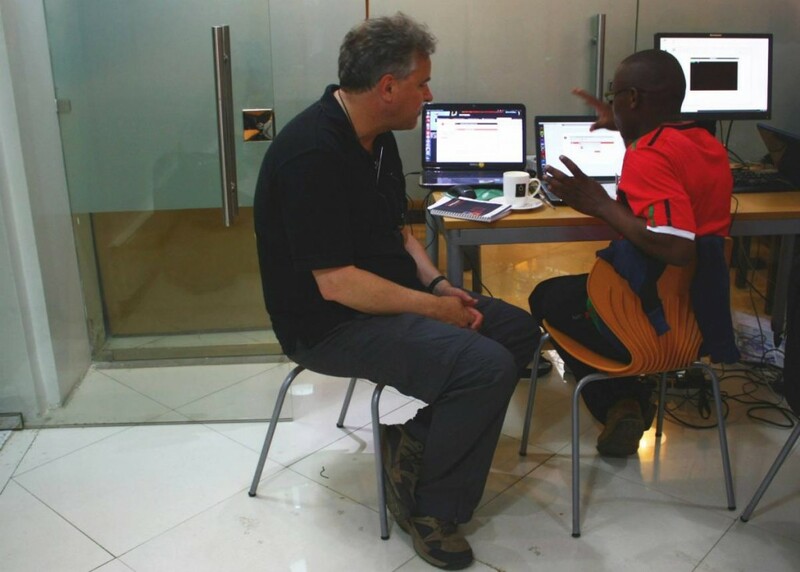 Gilbert explains what he is doing to Professor Nick van de Giesen from Delft University of Technology, the Netherlands. 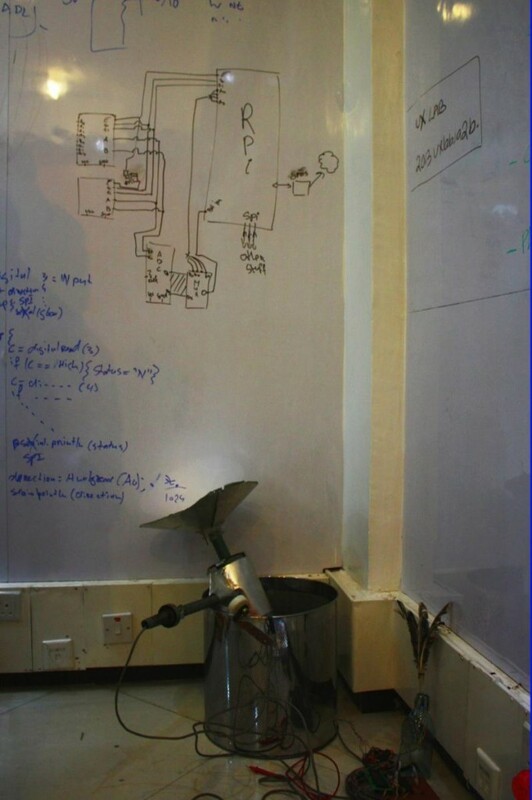 One of the prototypes – a wind speed sensor – parked temporarily in a bin. 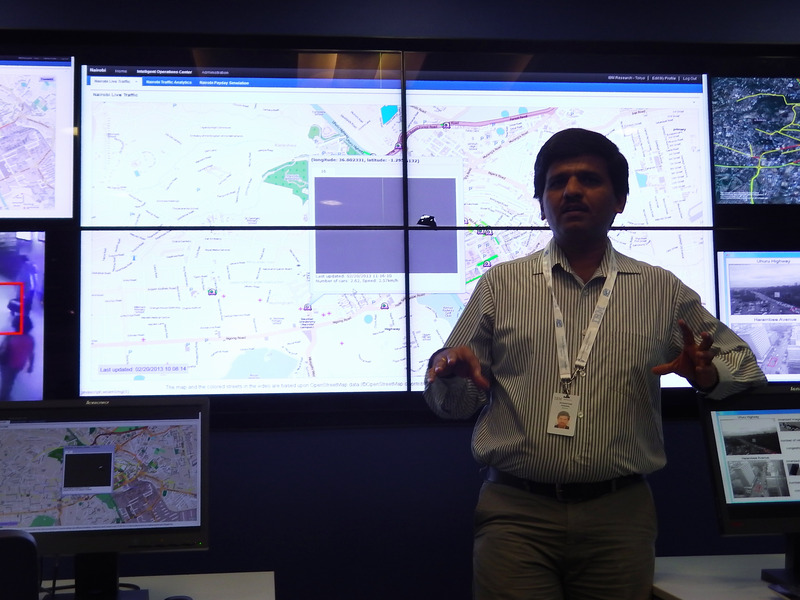 Wednesday break: we visited IBM Research – Africa where IT Solution Architect Sivananthan Perumal explains how IBM’s Intelligent Operations Centre (IOC) for Smarter Cities provides an executive dashboard to help city leaders gain insight into all aspects of the city. 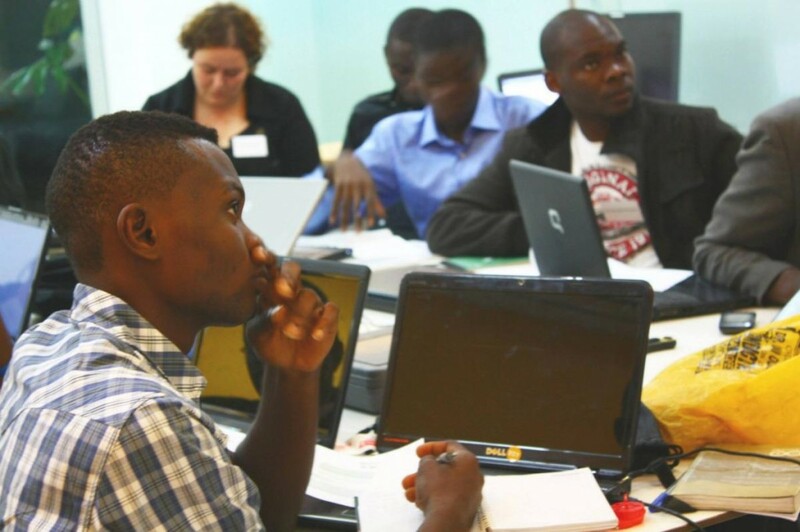 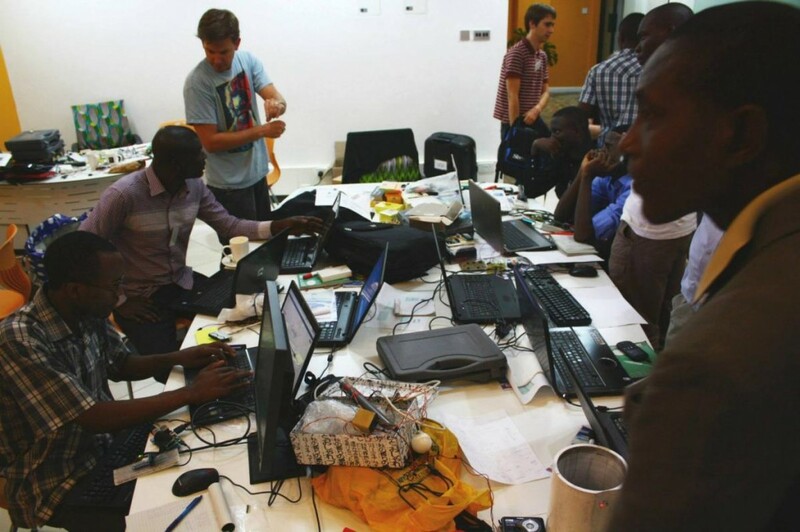 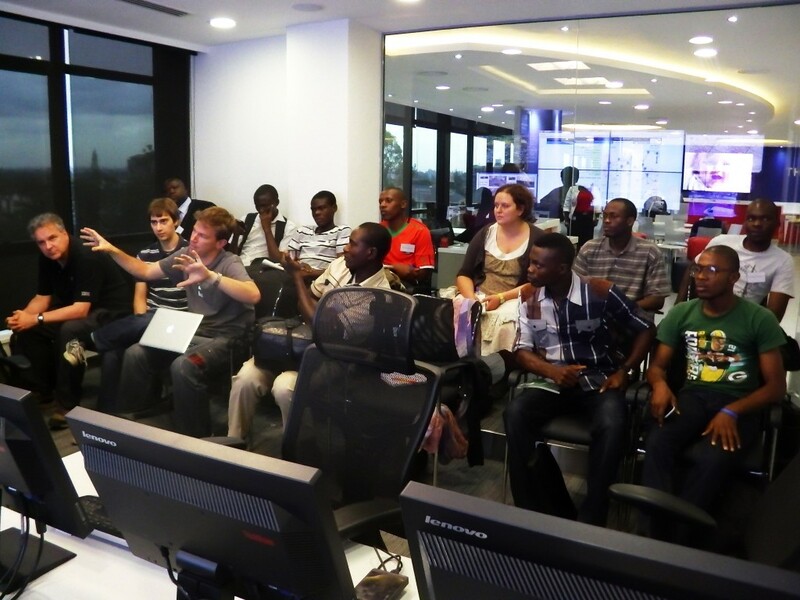 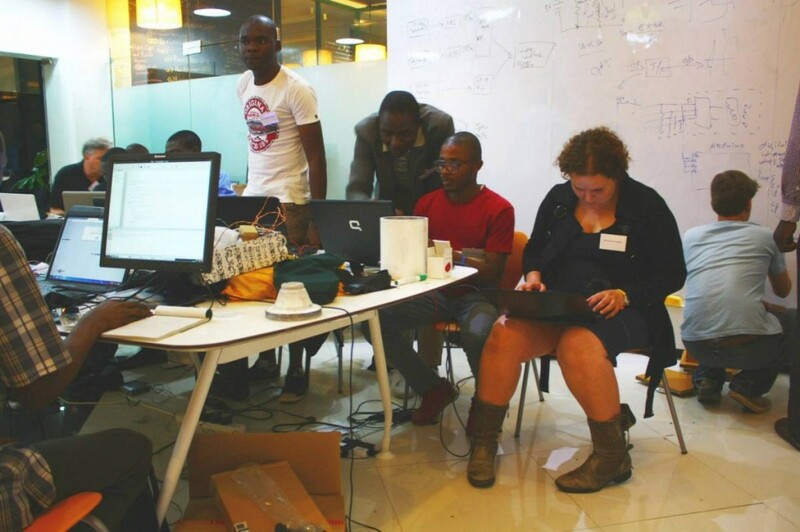 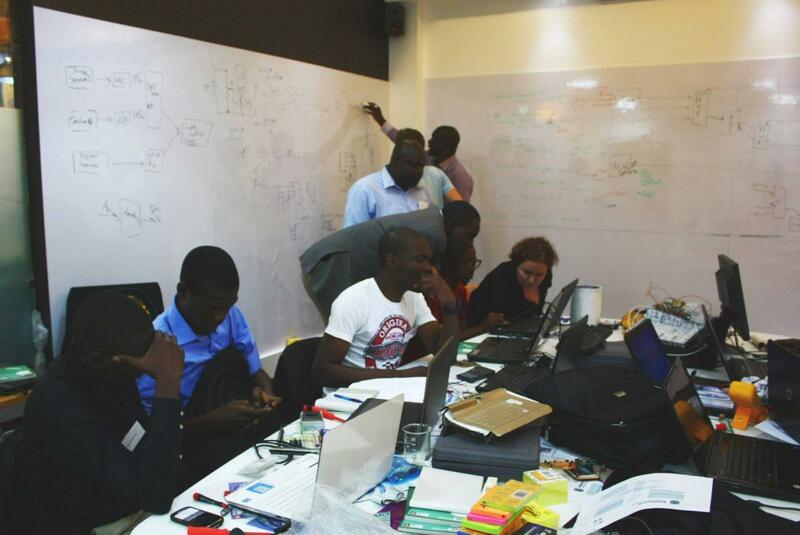 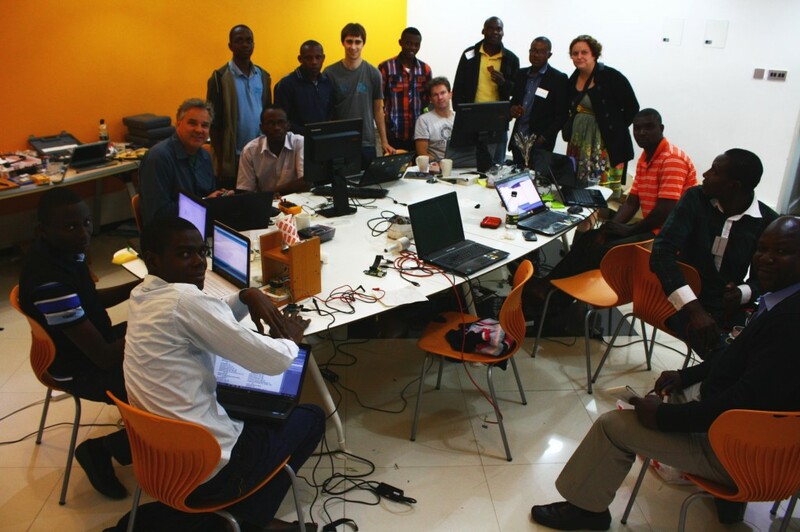 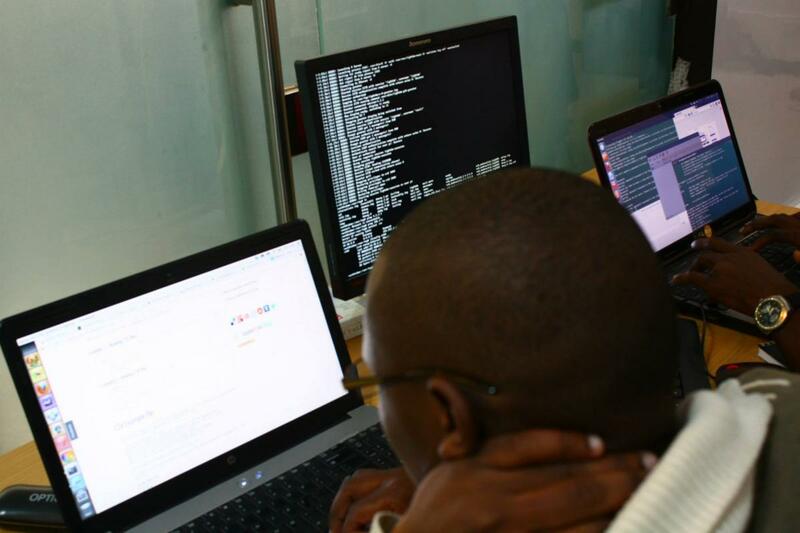 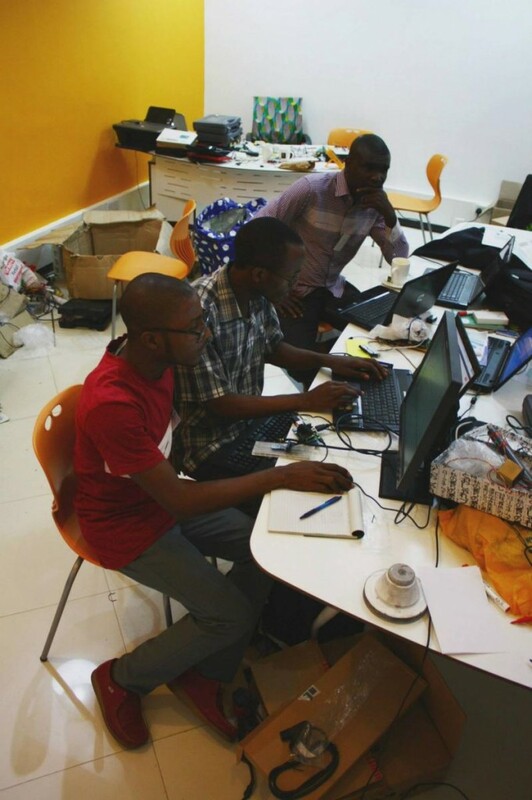 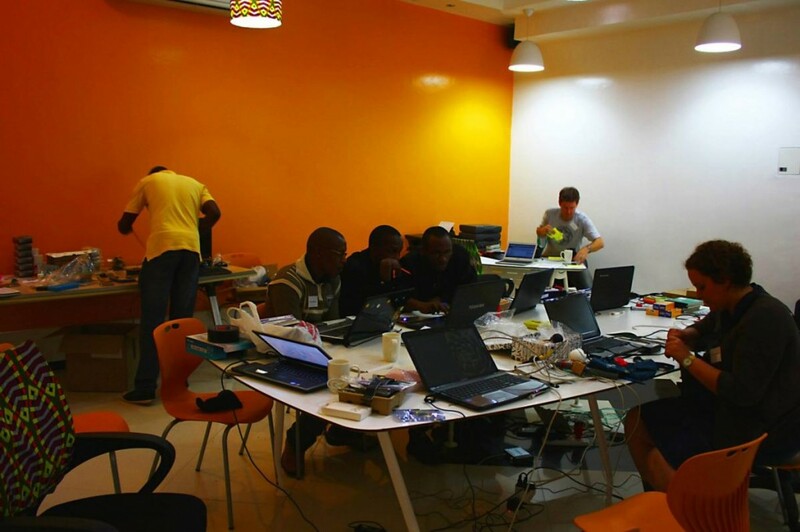 The TAHMO-ites at IBM Research – Africa. 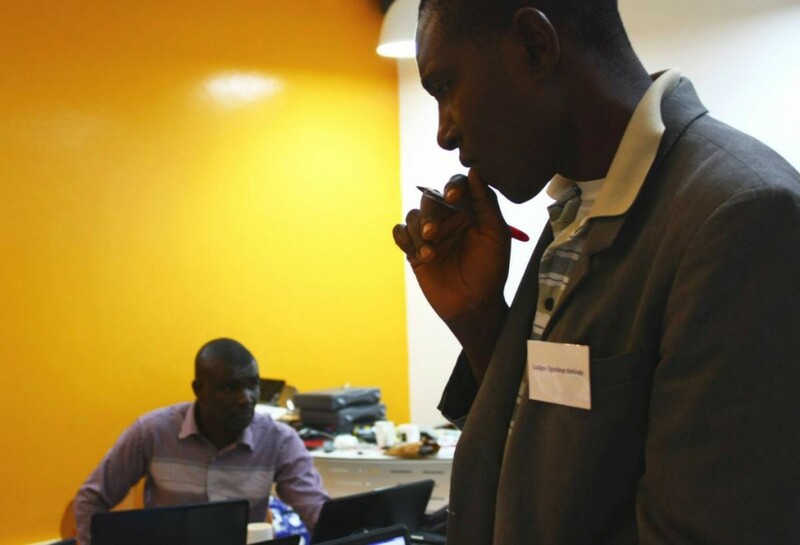 Participant Ladipo with Hope in the background, both from Nigeria. 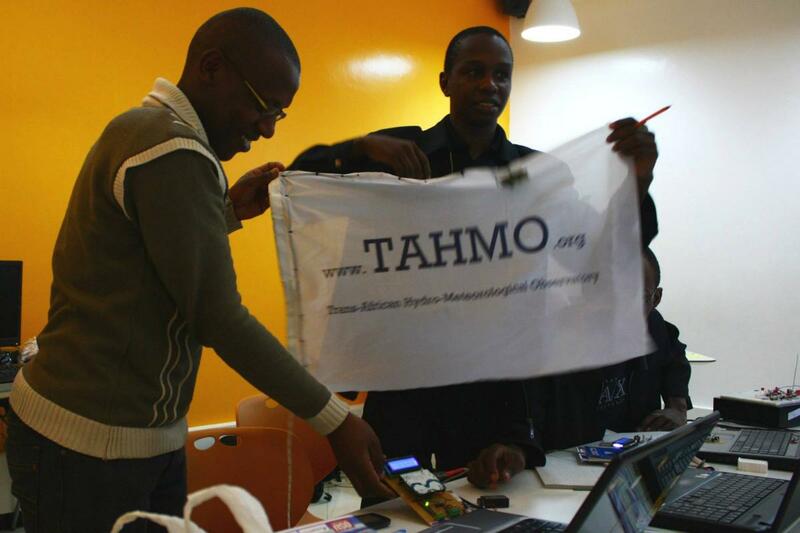 No lack of laptops at the TAHMO Final Challenge. 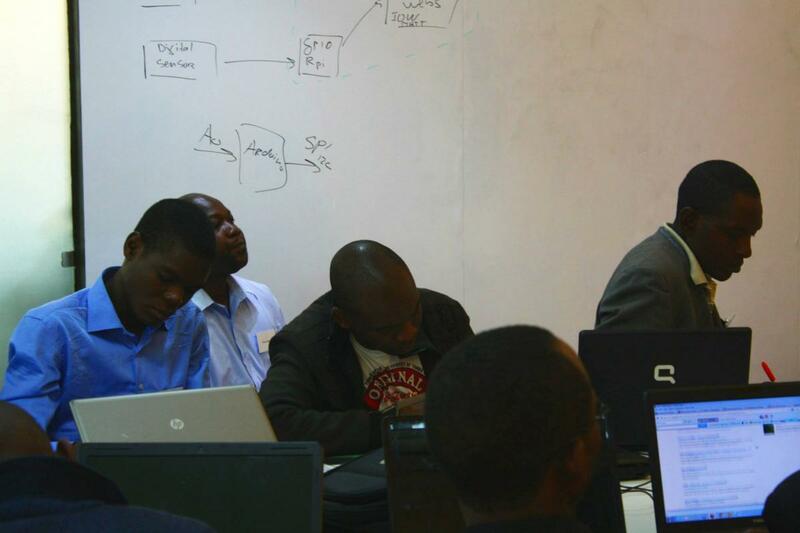 Participants from left to right: Ademola Oluwadamilola Oduguwa from Nigeria, George from Uganda, and Hope from Nigeria. Where to get a coil to measure displacement with a hall sensor when we are all out of coils? 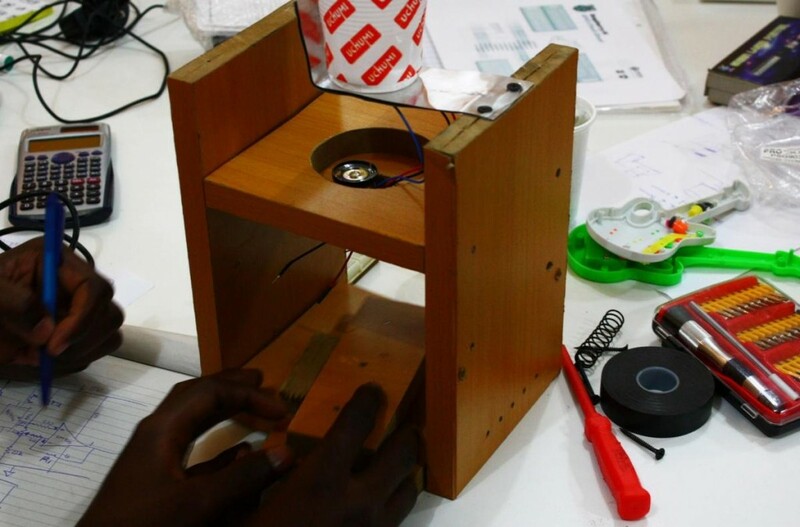 Creativity to the max at the TAHMO Final Challenge: using the coil of a toy guitar’s speaker to generate a magnetic field for one of the weather sensor prototypes. 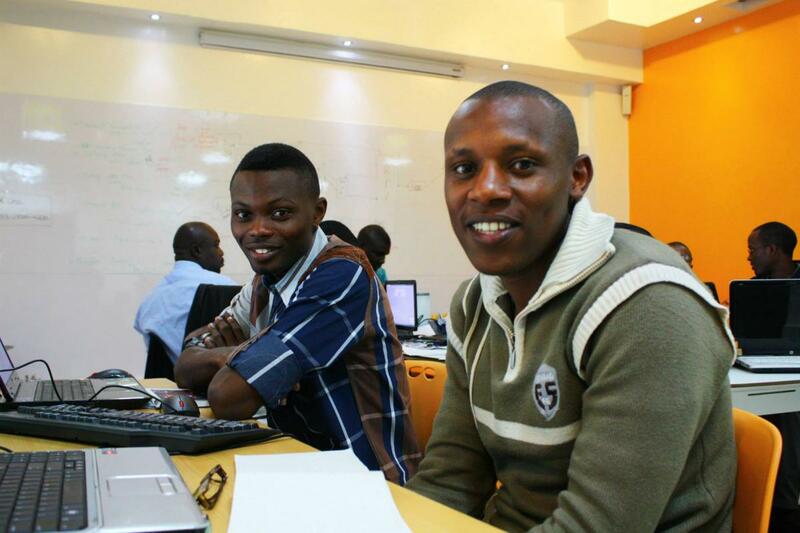 Olaolu (Nigeria) and Gilbert (Kenya). 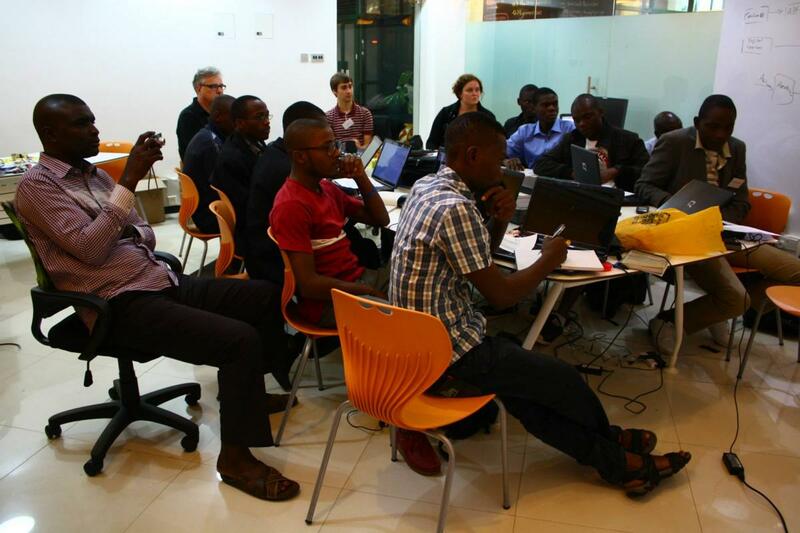 IBM Research – Africa dropped by at the workshop to see what the TAHMO buzz is all about. 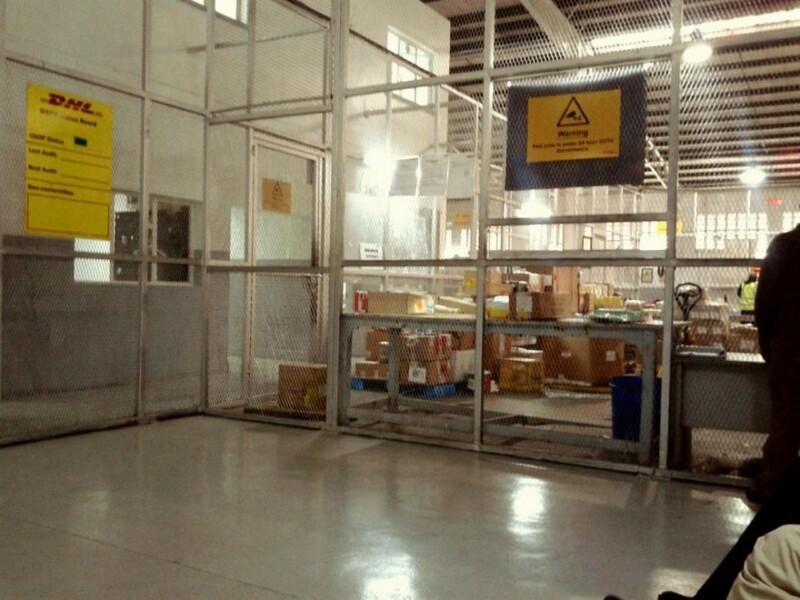 Waiting at the DHL cargo depot in Nairobi to pick up some extra analog to digital converters (flown in from the Netherlands) for the TAHMO Final Challenge. 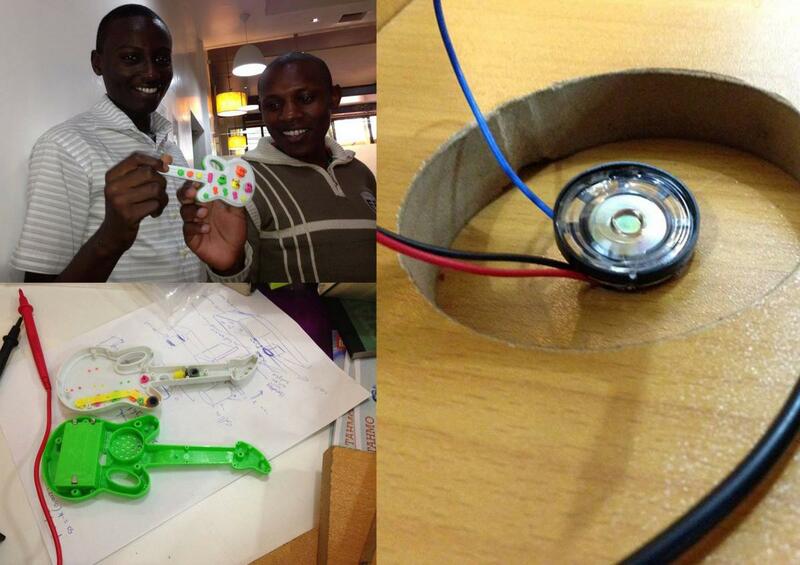 Ahmed and Ladipo testing their radiation sensor. Niyi and Abdullah with their prototype of a relative humidity sensor. Hope with his wind direction sensor. 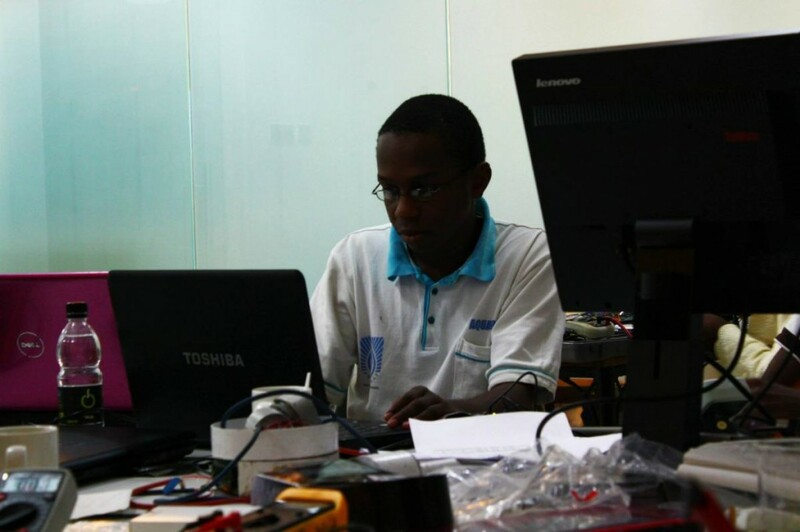 Kenneth hiding between the screens. 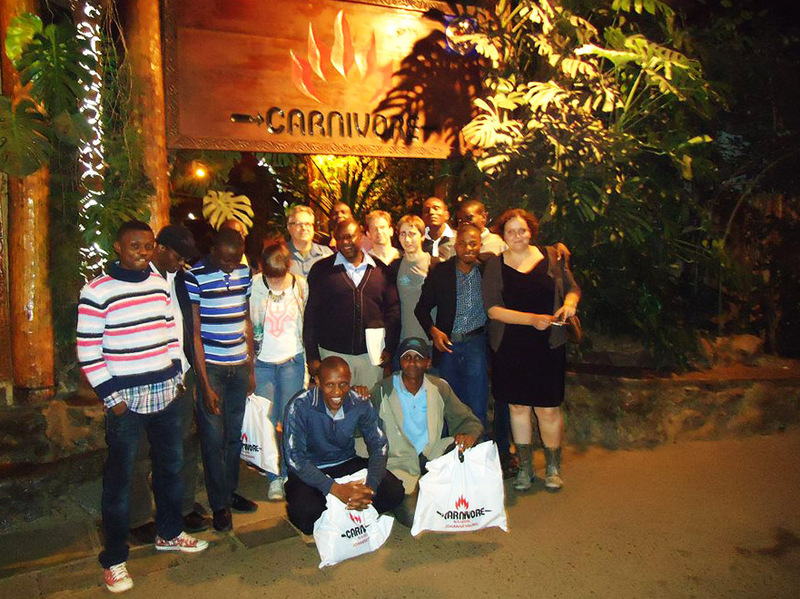 Happy faces after having tasted crocodile, ostrich and ox testicles at restaurant The Carnivore. Solving the last issues on the final day of the TAHMO Final Challenge. 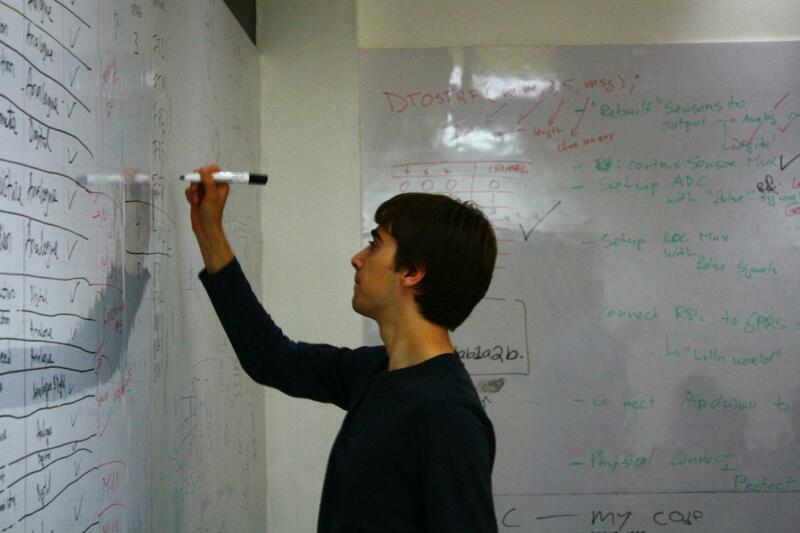 Our Raspberry Pi and coding expert Adam. 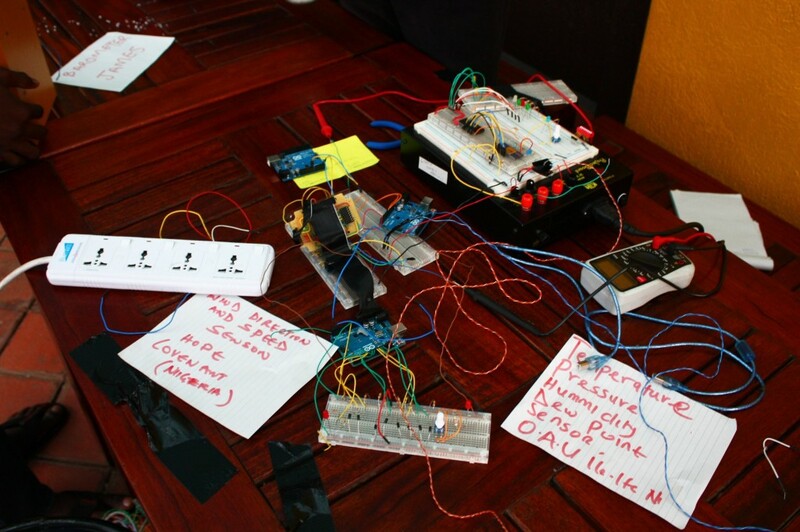 TAHMO Final Challenge’s last day: trying to integrate all weather sensors into one system. 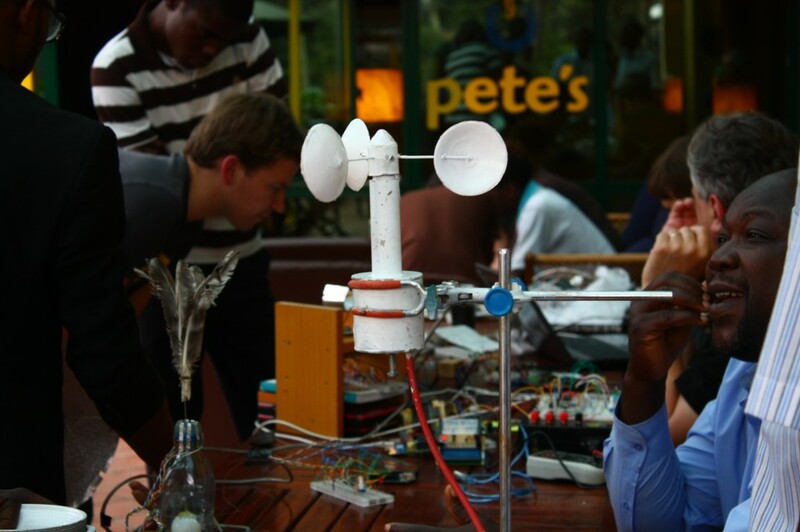 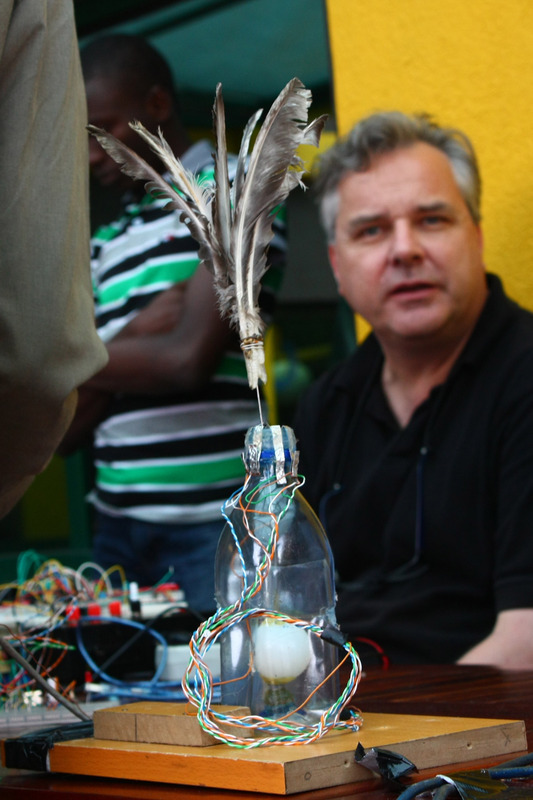 Anemometer to measure wind speed, designed by team FUTA (Federal University of Technology Akure) of Nigeria. 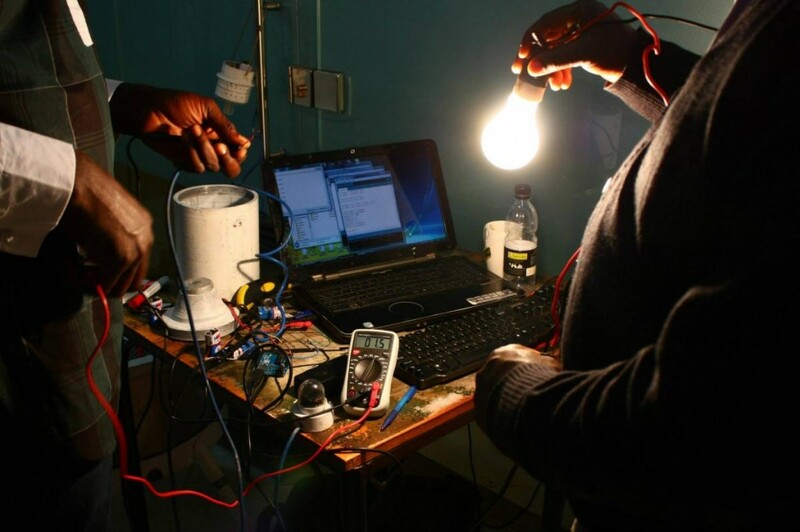 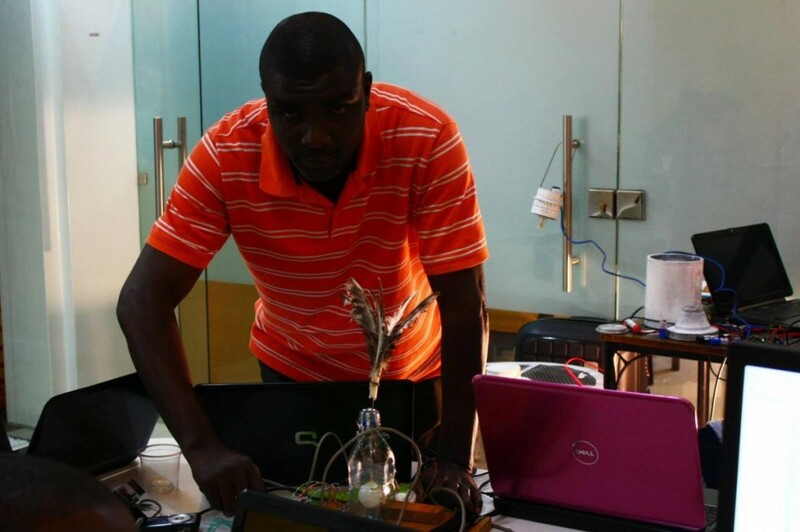 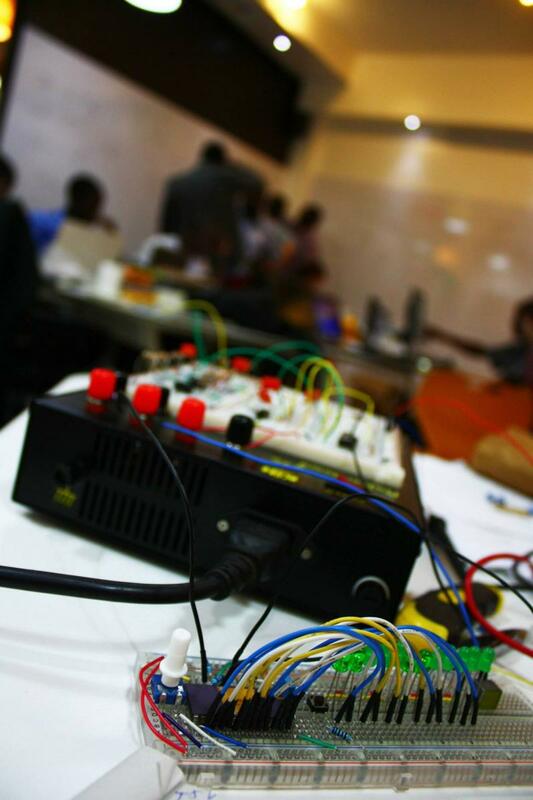 Wind speed sensor by Hope of Covenant University, Nigeria. 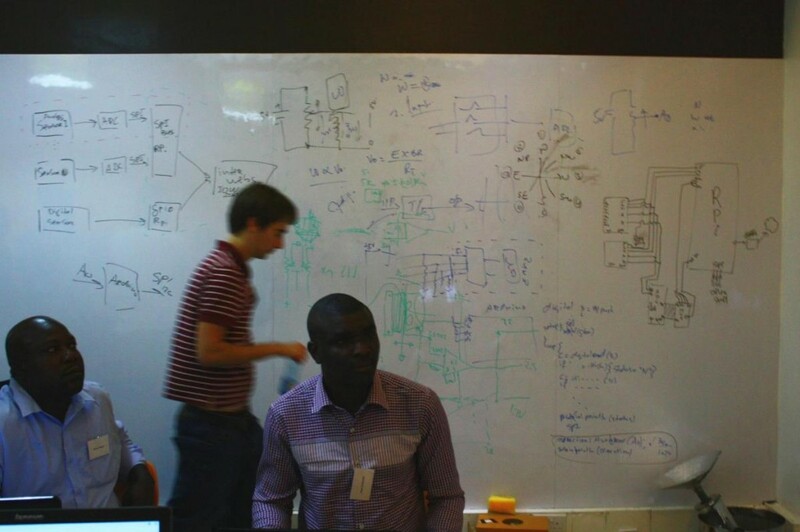 In the background: Nick.